Eskinder Nega, one of Ethiopia's most prominent online writers, winner of the Golden Pen of Freedom in 2014, the International Press Institute's World Press Freedom Hero for 2017, and PEN International's 2012 Freedom to Write Award, has been finally set free. Eskinder has been detained in Ethiopian jails since September 2011. He was accused and convicted of violating the country's Anti-Terrorism Proclamation, primarily by virtue of his warnings in online articles that if Ethiopia's government continued on its authoritarian path, it might face an Arab Spring-like revolt. Ethiopia's leaders refused to listen to Eskinder's message. Instead they decided the solution was to silence its messenger. Now, within the last few months, that refusal to engage with the challenges of democracy has led to the inevitable result. For two years, protests against the government have risen in frequency and size. A new Prime Minister, Hailemariam Desalegn, sought to reduce tensions by introducing reforms and releasing political prisoners like Eskinder. Despite thousands of prisoner releases, and the closure of one of the country's more notorious detention facilities, the protests continue. A day after Eskinder's release, Desalegn was forced to resign from his position. A day later, and the government has declared a new state of emergency. Even as it comes face-to-face with the consequences of suppressing critics like Eskinder, the Ethiopian authorities pushed back against the truth. 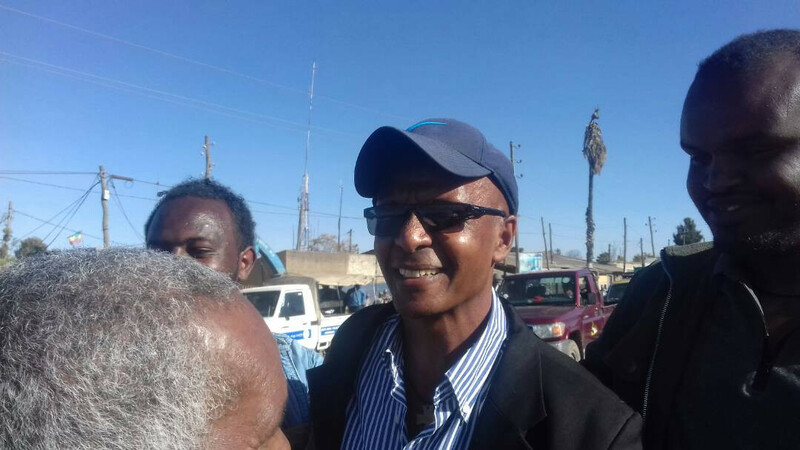 Eskinder's release was delayed for days, after prison officials repeatedly demanded that Eskinder sign a confession that falsely claimed he was a member of Ginbot 7, an opposition party that is banned as a terrorist organization within Ethiopia. Eventually, following widespread international and domestic pressure, Eskinder was released without concession. Eskinder, who was in jail for nearly seven years, joins a world whose politics and society have been transformed since his arrest. His predictions about the troubles Ethiopia would face if it silenced free expression may have come true, but his views were not perfect. He was, and will be again, an online writer, not a prophet. The promise of the Arab Spring that he identified has descended into its own authoritarian crackdowns. The technological tools he used to bypass Ethiopia's censorship and speak to a wider public are now just as often used by dictators to silence them. But that means we need more speakers like Eskinder, not fewer. And those speakers should be carefully listened to, not forced into imprisonment and exile.